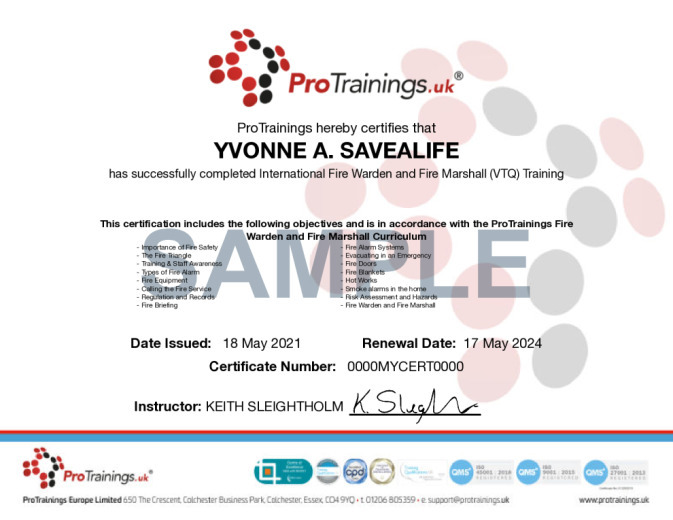 This level 2 course is aimed at anyone who requires a course as a Fire Warden or a Fire Marshal. The course covers the latest fire safety regulations and the roles and duties of employees and their responsibilities on Fire Safety. The course is designed to meet and comply with the Regulatory Reform (Fire Safety) Order 2005 which is a strict of guidelines which exceed international guidelines in fire safety. It covers how fires are started, methods of controlling fire spread, evacuating the building, fire briefings and risk assessing. This course comes with 3.0 hours of CPD, although the time to complete the course online may be less than this. Total course time includes 2 hours and 4 minutes of video training as well as knowledge reviews, final test, remedial help and reviewing downloaded material.